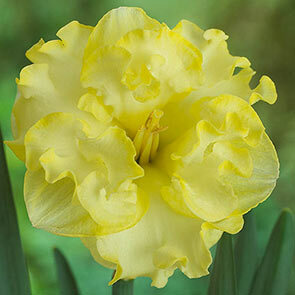 Our experts selected each variety in this collection from the newer second generation of Butterfly Daffodils. They all have stronger stems and bigger blooms that properly display the unique split corona. This way, when spring rolls around, you can expect these dazzling beauties to put on a strong performance in your garden. The whole process is an exciting one. 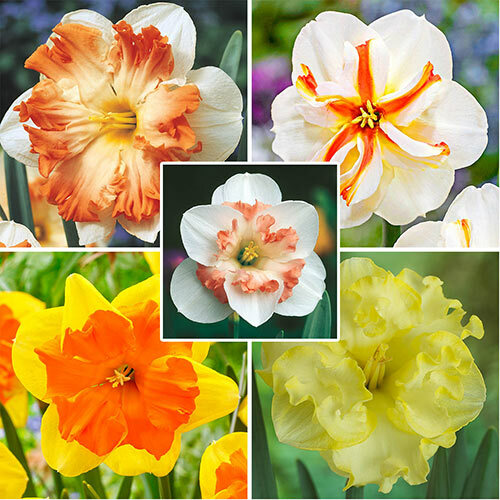 You plant them in fall, and even through the gloomiest winter days, you have the promise of bulbs just waiting to fill your garden with magnificent blooms. It's a joyful moment when you first spot your daffodils—maybe that's why in Wales they say the first to spot one will enjoy a year of excellent wealth. However, planting and growing this daffodil collection is really just the beginning. 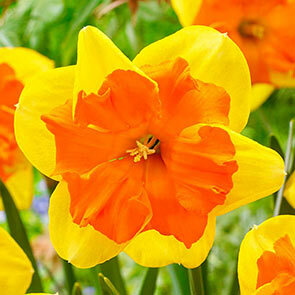 The flowers may look delicate, but daffodil bulbs are hardy and prolific. You'll get to watch them grow and naturalize year after year—multiplying over time to surprise you with a spring display that just keeps getting better. One way to enjoy your Butterfly Daffodils is by sharing some of that wealth. 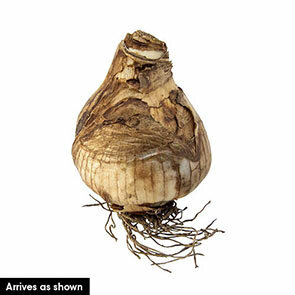 The daffodil has become a symbol of friendship, often given in spring to celebrate new life. As a brightly coloured beauty and a well-known harbinger of spring, it's easy to see this little bloom's merit as a friendly gesture. Breck's Butterfly Daffodil Collection is especially moving in a fresh-cut, homegrown bouquet—the wide-open blooms with decadent split and ruffled coronas carry enough ceremony to create a lasting impression. For all the new excitement each new spring brings, you'll have an outstanding bouquet ready to celebrate it. 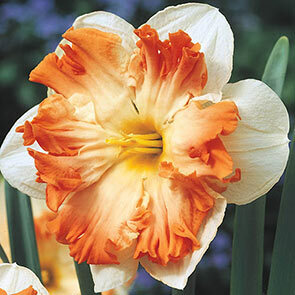 You can call them Butterfly, Orchid or Hibiscus Daffodils, or use the official classification—Split Corona Daffodils. Their indescribable beauty is clear in just how many different names people have come up with for these unique blooms. 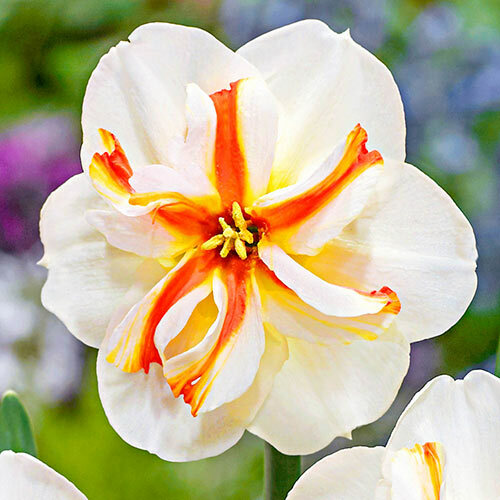 Render your friends and neighbours speechless this spring with your own collection of Breck's® Butterfly Daffodils. There are plenty of ways to use butterfly daffodils. They grow sweetly in little pots you can keep on your patio. You can add eye-catching colour and elegance to your mixed borders. They are a cinch to naturalize and will greet you every spring with a heart-melting scene when you plant them in drifts along a hillside. Wherever you choose, these beauties are very easy to grow. Although they thrive best in well-drained soil, they don't mind clay, loamy or sandy soil. Also, as with all daffodils, deer won't eat these varieties. A Spring Display to Make your Heart Flutter! 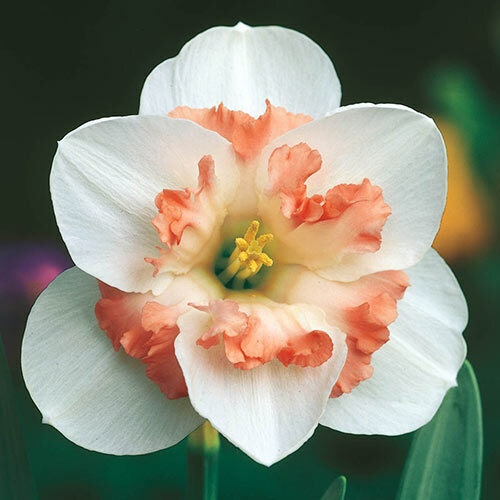 It's everything you love about easy-growing traditional daffodils, with the addition of an intricate and elegant form you'd think was designed by an artist instead of discovered by a hybridizer. The split cups, delicately curling between layers of petals, are clearly beautiful in pictures. However, nothing compares to watching them ruffle in a breeze, they look like a visiting butterfly's rustling wings.